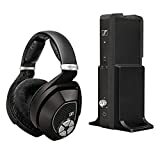 Description: The Sennheiser RS 180 is a wireless digital audio headset designed to give the ultimate listening experience to its users. 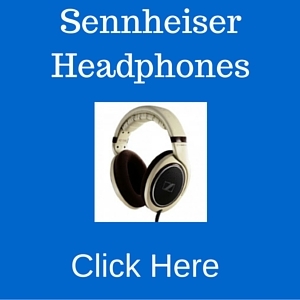 Find out if the Sennheiser RS 180 headphones are worth buying in this Sennheiser RS 180 review. The Sennheiser RS 180 is one of the best wireless headphone systems around. Upon opening the package, you’ll see a headphone and multi-purpose transmitter that also doubles as a docking station and ‘easy charge’ cradle. It has an automatic level control that allows the device to adjust the volume control depending on the type of music being played. It also has an Open-Air speaker system that ensures the delivery of crisp and natural-sounding audio. It can allow as many as four people to listen to the same audio source with the KLEER lossless digital audio wireless transmission. With this technology, up to four people using Sennheiser KLEER headphones will be able to listen to audiophile-grade sound from a maximum distance of 320 feet. These Sennheiser wireless headphones have luxurious velour ear pads that provide a lot of comfort to its users. The headband is fully adjustable, thus it will fit securely on anyone’s head. There are numerous advantages of using this wireless stereo headphone. Since it is a plug-and-play device, you won’t need to set-up the headphone upon first use. Simply plug in the transmitter to any audio source, turn on the headphones, and the RS 180 is immediately recognized. The RS 180 has a shiny, gray metallic finish that makes it look sleek and elegant. The headphones are made of plastic but it has a solid feel. It is also lightweight at 7.6 oz, one of the lightest in the market today. Since the headphones are light weight, it is comfortable to wear it for long periods. The headphones are powered by a single AAA battery in each ear cup, with its manufacturer claiming that it can work for 24 hours straight on a set of fully charged batteries. And since the batteries are rechargeable, users won’t have to buy batteries for this device. In terms of sound quality, these wireless stereo headphones certainly deliver. It can produce sounds with crisp details and powerful bass especially when it is in close range with the transmitter. There is also no noticeable background hiss which wireless stereo headphones are notorious for. However, there is an occasional interruption when a user goes to another room and away from the transmitter. Perhaps its best feature is the automatic volume level control. This feature may sound unimpressive at the surface, but it is even more awe-inspiring once you have tested the headphones. When you use the headphones in listening to DVDs, you’ll notice that the sound level will be automatically adjusted according to the different variances. The sound may increase during action scenes, when the background music plays an important role in stirring up emotions. But the headphones will also have its volume decreased when the characters are talking, so you can understand every word being said. Lastly, the product is made by a well-known brand. Sennheiser has been around for more than six decades and has been associated with high quality audio products. With the solid reputation of its manufacturer, one is guaranteed of superior quality sound and performance of the RS 180. The arrangement of the volume control and balance buttons is not exactly well thought-of. The power button is located at the center, right in the middle of the volume level and balance button. So there is a tendency for users to accidentally turn the power off when adjusting the volume or the balance button, especially if they are using this for the first time. Since the headphones are powered by batteries, do not expect the headphones to match the maximum volume level of wired headphones. Audiophiles who are quite particular about volume levels may be disappointed with the RS 180, especially if they have tried other wired headphones. Many users of this headphone have no complaints about the sound quality. When it is near the transmitter, the headphone can transmit crystal-clear sound. Many satisfied users commend Sennheiser since the RS 180 can produce sound with no background noise like hissing, pops or crackles. Taking advantage of KLEER technology, the RS 180 can reproduce audio without causing interference with other wireless such as wireless phones. Additionally, the RS 180 comes with an open design meaning it cannot suppress noise from the environment. According to its manufacturer, the open design is not a disadvantage as it can cause a more natural reproduction of sound. Other RS 180 users love the docking and charging station that the transmitter also plays. Once the rechargeable batteries run out of power, all it takes for users to recharge the batteries is to hang the headset on the said transmitter. There is no need to plug-in the headphone, which is a minor convenience to most users. There is also a warning signal that the headphone will display when the batteries are running out of power. The headphone shows a series of lights that will blink to indicate that it is time to recharge. 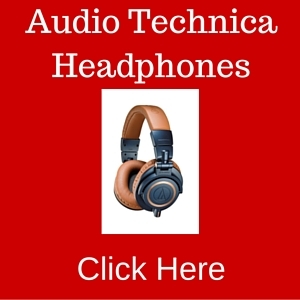 Yet there are also many customers who complain about certain aspects of the headphone. The arrangement of the controls is the most commonly criticized aspect, as many users say that Sennheiser could have done a better job at designing the volume and balance controls. Or that it could have placed the power function away from the said buttons. Some people who bought from Amazon also suggest that Sennheiser could have changed the color of the controls, making it different from the body of the unit. They argue that with the same color as the headphone, the controls are difficult to see in low light conditions. We recommend to purchase this phone on Amazon for a better price. Despite the flak it has gotten for its design, there is no doubt that the RS 180 more than makes up for it with its superior audio reproduction. The RS 180 is reasonably priced given its impressive features. This entry was posted in Sennheiser headphone reviews on June 30, 2014 by admin.